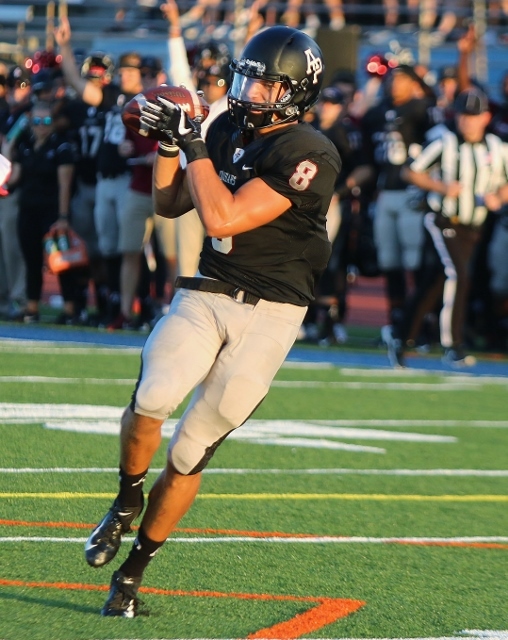 APU receiver Weston Carr is transferring to Penn State. (Photo by Duane Barker). (Glendora) – Azusa Pacific wide receiver Weston Carr is transferring to Penn State he announced on Instagram. “After 4 amazing years at APU, it is with gratitude that I announce to my decision to become a Nittany Lion. Azusa you are my foundation for this new beginning and I’m thankful for the love and support you gave me on and off the field,” – Carr posted. Carr will go to Penn State as a graduate transfer and has one year of eligibility remaining. Last season for the Cougars Carr caught 33 passes for 644 yards and 12 touchdowns. Penn State has two receivers that are expected to start but Carr will battle for the third spot. 1 Comment to "Azusa Pacific Receiver Carr Transferring to Penn State"
This is an example of perseverance, something outside the normal expectation of getting offered by a major college straight out of high school. On a side note, as Weston prepares to leave the southland, Mick Cronin is arriving at UCLA’s new basketball coach. At age 47, Mick has an overall record of 365-170, as he starts work on his contract that is reportedly worth $24 million over 6 years. So best wishes to both Weston and Mick!